The new Medical Aid screen was created to simplify the existing medical aid process, where you will be able to load all medical aid details for employees. For more information click here. 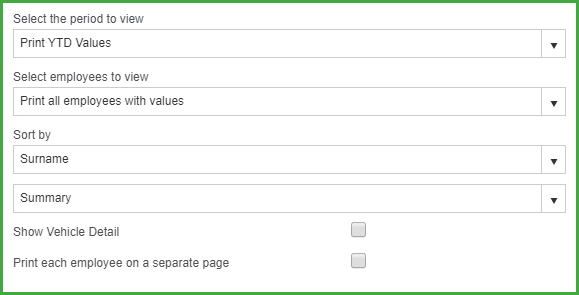 The Tax Calculation View was created to show you how the system calculates employee tax. This feature will show you step by step what is included (earnings, deductions and benefits) in this tax calculation. For more information click here. From March 2018, to simplify the calculation and administration of employees’ tax, the definition of remuneration includes 100% of the portion of the reimbursive travel allowance that exceeds the prescribed rate per kilometre (rate per kilometre for the simplified method, fixed by the Minister of Finance by notice in the Gazette), and is subject to PAYE, UIF and SDL irrespective of the total business kilometres travelled and reimbursed for the tax year. The amount of reimbursive travel, reimbursed over the SARS prescribed rate will now be taxable as remuneration through the payroll. To include the correct amount in remuneration, the payroll application needs to know the rate at which each transaction was reimbursed. The rate per kilometre used to calculate a travel reimbursement exceeds the prescribed rate/km (R3.61). The portion exceeding the prescribed rate, that is taxable as remuneration through the payroll, is automatically calculated by the system and will be reported on IRP5 code 3722. The rate per kilometre used to calculate the travel reimbursement does not exceed the prescribed rate/km (R3.61). Enter the vehicle information as well as the reimbursive rate and click on the Add button to save the vehicle. Enter the travel information for the period that the employee traveled and enter the number of kilometres. 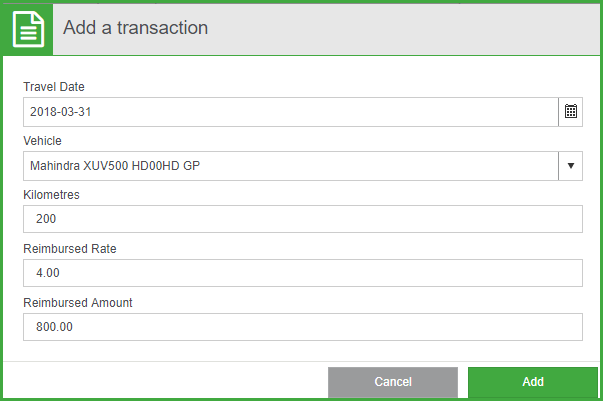 Click on the Add button to save add the transaction. The transaction will now be displayed on the employees’ payslip. 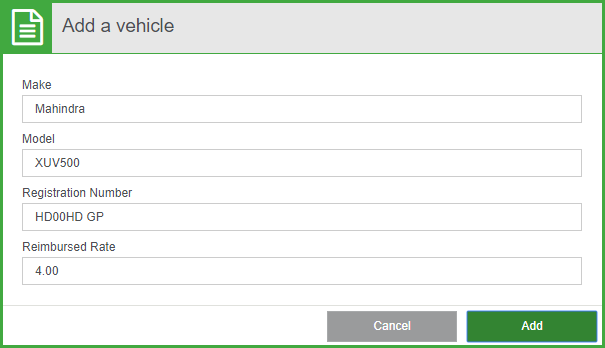 You have the option to add vehicle details, if you want to link transactions to a specific vehicle. This is optional. 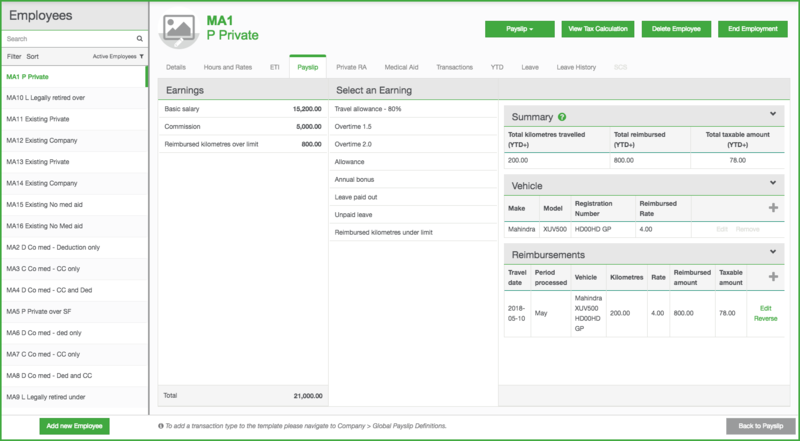 Vehicle details can be edited and removed if there are no transactions linked to them. Users can load multiple reimbursement transactions in one period. Reimbursement transactions for the current period can be edited. If you reverse a current period transaction, it will remove the transaction and its payslip value for the current period. It you reverse a transaction loaded in the previous period, it will reverse the transaction amount in the current period. The Reimbursive Travel Report can be printed at the end of the tax year, to show all transaction processed per employee. The employees can then use this report to help complete his/her logbook.